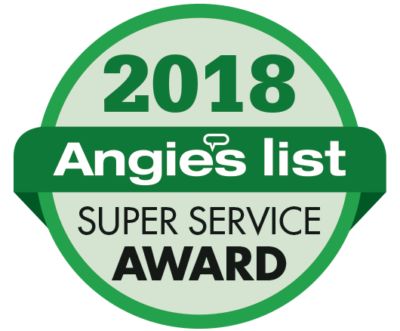 With our dedication to customer service, we provide professional gutter service, quality products, and competitive pricing to both home builders and homeowners in Columbus and Central Ohio. 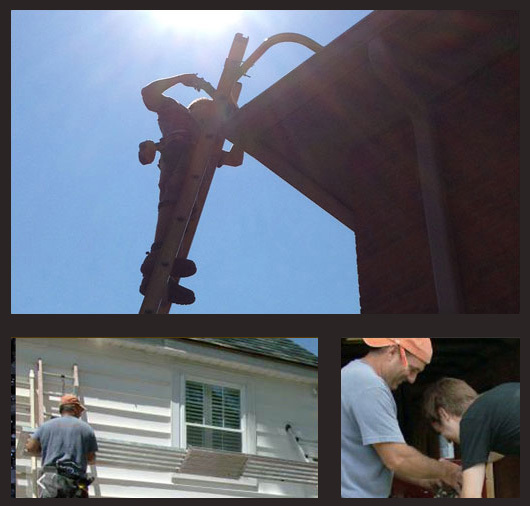 Let Us Handle ALL Your Gutter Needs! Quality Workmanship: GUTTERCO is a father and son team. My son, Nate, and I do all of the installations together. My experience with gutters started in 1978 and I’ve been installing them ever since. We are the All In One Gutters team. 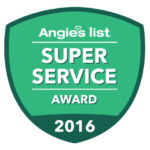 As your All In One Gutters team our first concern is for the customer’s satisfaction. 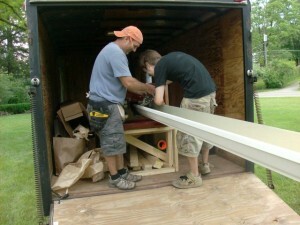 The All In One Gutters team commitment is to make sure you receive the best installation at the most competitive price. 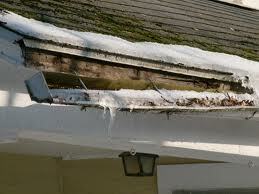 Storm Damage Repair: Ice can create a lot of damage to gutters. The ice freezes in the gutters expands and causes the gutter spikes to pull loose from the fascia board, sometimes causing the gutter to completely fall off or even worse allowing water to run behind the gutter onto the fascia board causing the fascia board and rafter ends to rot leading to replacement. Your All In One Gutters team (GUTTERCO) can quickly provide a repair estimate for you or your insurance company if you file a claim. 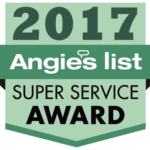 Call Mike at 614-254-4349 or contact us online. On Site Fabrication: Your All In One Gutters team does all gutter fabrication on site. 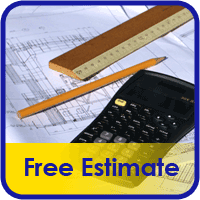 We bring our 5 or 6 inch gutter machine to your location and fabricate lengths that are seamless up to 60 feet in length. We take a flat sheet of metal .027-.032″ thick and extrude it into the shape of a gutter. ( the All In One Gutter team ) uses the best known materials on the market. For our gutter coil we use Mastic Home Exteriors by Ply Gem. They offer 22 different colors with the highest quality aluminum and finish in the industry. They are durable and designed to protect your home for many years. More than 30 years of extensive testing – and Ply Gem’s proprietary Alumalure 2000 finish – Mastic’s Performance Metals remain the best metal products in the industry. GUTTERCO uses on the best gutter hangers in the business. Many company’s use spikes to hang their gutters. The problem with spikes is that they tend to pull away from the fascia board easier. We use a product called Senox Hangers. These hangers are constructed with heavy gauge aluminum and utilize a coarse thread screw to insure more holding power than conventional spikes.